Accidents and injuries are increasing in everyday life by alarming proportions. Road trauma is now designated as a no.1 killer in young patients by WHO. The Sancheti Institute recognized this long ago and today it is a leading tertiary referral trauma centre in the country catering to approx 3000 patients involved in accidents and injuries per year under the name, Kamalnayan Bajaj Trauma Centre. Emergency Medical Services (E.M.S): A multiply injured patient demands swift and comprehensive care. The SIOR EMS department headed by Dr. Pradhan functions as a round the clock team of doctors and surgeons specialized in every area of medical treatment required for such an event. All the team members are specially trained overseas and internationally certified with latest techniques in trauma management. The team includes specialists in Orthopaedic, General surgery, Neuro surgery, Microvascular and Hand surgery, maxillofacial surgery etc. Dr. Chetan Pradhan specializes in treatment of complex musculoskeletal trauma, neglected ,ununited fractures and foot and ankle injuries. He has completed numerous international fellowships like AO fellowship (Switzerland), the trauma fellowships from Germany and UK. He is also a renowned and international faculty on trauma and operates on more than 1000 cases per year. These are complex fractures of the pelvic and acetabulum which are major killers in any accident. Dr. Atul Patil heads this service and is specially trained in the US, Germany and Belgium Hospitals to handle these injuries. He also specializes in various Arthroscopic procedures. 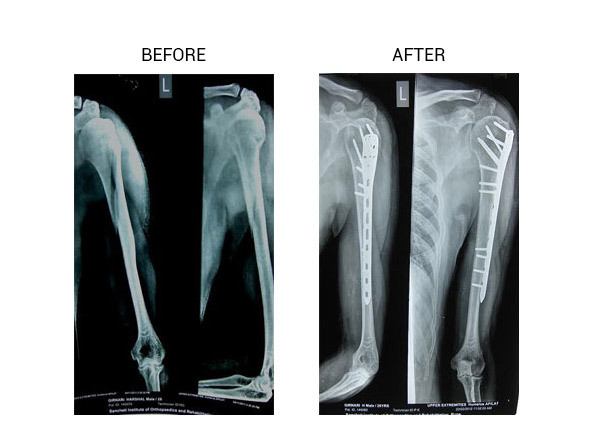 Fractures with loss of bone or shortening of extremity are a major cause of amputations, especially when associated with infections. Dr. Chetan Puram specializes in treating such cases having received his training from various institutes in Italy and Germany. 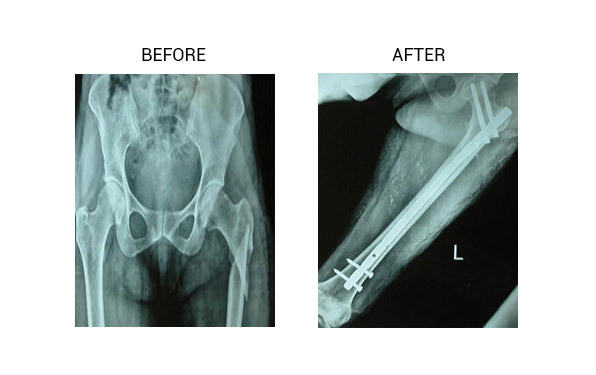 SIOR has an excellent record of limb salvage in such injuries. For rapid transport of trauma victims we have a fleet of well equipped Ambulances (ICU on wheels) manned by qualified paramedics and doctors. A dedicated toll free number +91 20 2799 9999 is designated to avail this facility anywhere in the city. Sancheti Institute provides a temperature controlled, bacteria free environment essential for speedy recovery of trauma patients. Experienced and qualified intensivists provide round the clock monitoring of the patient’s condition and response to on-going treatment. The ICU has been designed and equipped to cater specifically to the needs of Orthopaedic Poly-trauma patients. It is furnished with specially designed beds that permit multiple settings, central oxygen supply, central suction unit, modern ventilators & monitoring equipment. The Sancheti Department of Emergency and Trauma is also actively involved in education and training. The centre has been recognized by the AO Foundation (Germany) and is an internationally recognized centre for training orthopaedic surgeons all over the world in basic and advanced techniques of surgery. The department holds conferences covering a range of super specialties including; basic fracture fixation course, advanced fracture fixation course and international trauma life support course. It also offers fellowships to trained surgeons all over India. Competent Physiotherapists therapists who specialize in trauma specific rehabilitation facilitate early return to functional status. Thus the department of Trauma (accidents & emergency) is truly a centre of excellence in providing comprehensive care TO the 5. Multiple injured patients as per international standards.